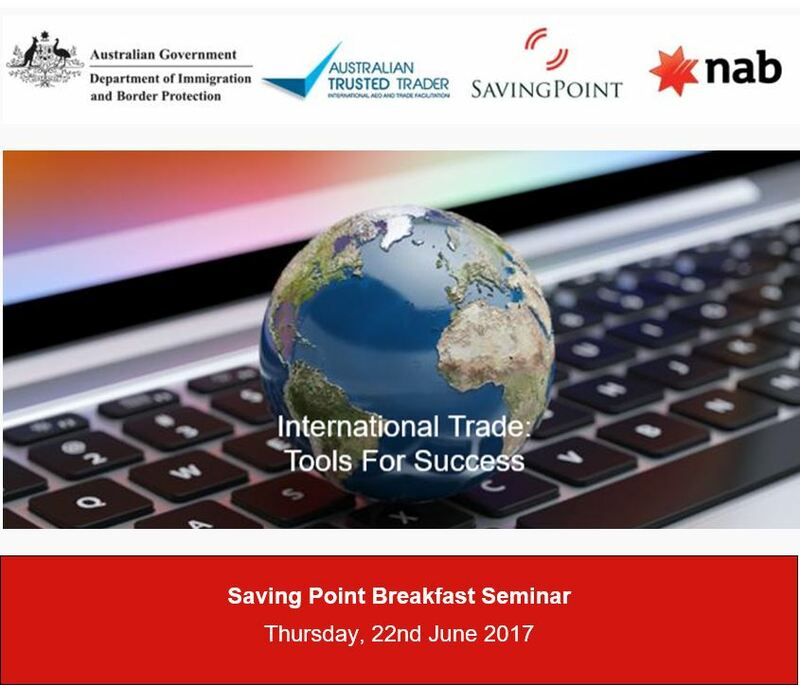 On 22nd June 2017, Saving Point is holding an interactive seminar to discuss the tools and processes necessary for Australian businesses to flourish in the arena of international trade. 1. Australian Trusted Trader - Introduction to Trusted Trader: Explanation of Trusted Trader and its benefits. 2. What Gives With the Australian Dollar? Where To From Here? : Economic review of Australia & abroad. 3. International Freight – Show Me the Money: Strategies to reduce costs and maximise efficiency and stability in international freight and supply chain. Carolyn Hourigan is the Superintendent of Australian Trusted Trader Programme Management Section in the Australian Border Force, and is responsible for the delivery of the Australian Trusted Trader Programme. Australian Trusted Trader is a key trade facilitation initiative in the Department’s Reform agenda, building a more holistic understanding of border transactions, and strengthening trust-based partnerships with industry. Ms Hourigan has over 14 years experience with the Department of Immigration and Border Protection, having worked in a wide array of operational areas, primarily focusing on border security and international engagement. David de Garis (NAB) - What Gives With the Australian Dollar? David is a Director and Senior Economist at NAB. He has an extensive professional background as an economic adviser for several major federal government departments and currently speaks on the economy with a diverse range of NAB clients both at home and abroad. David also writes for NAB’s daily and weekly economics and market reports, and liaises with the media (often daily) about the economy and financial markets. He has been featured on ABC Radio, ABC TV, ABC Lateline, ABC24, CNBC, Sky Business, Bloomberg TV, as well as various other TV, radio and print media. Mark has extensive experience as a Supply Chain Executive with a background in business management for large multinational companies.This expertise is combined with excellent strategic planning and communication skills. Mark has earned a reputation for success in change management and building business strategies to meet key performance indicators, profit targets and galvanising teams to deliver superior results, often within tight time frames and limited budgets. Please be aware that seating is limited.